The Advance SC351™ micro scrubber proves it’s in a class of it its own, delivering faster, better and easier scrubbing. Combine these features with the unique, fully adjustable rotating deck and you are on your way to superior scrubbing performance. Featuring full battery-powered operation with a standard onboard battery charger, the 14 inch disc delivers more scrubbing with minimal downtime and less hassle. Plus, at only 64 dB A, the SC351 is the quietest machine in its class, making daytime cleaning and cleaning of noise-sensitive areas an easy option. 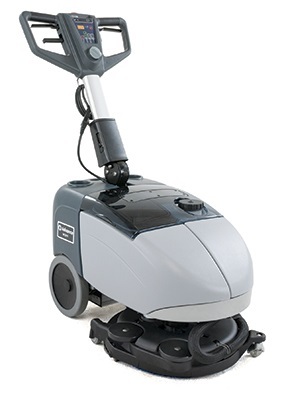 With its compact, maneuverable design, the SC351 is ideal for scrubbing in tight corners or under tables or chairs.